Review | Peugeot had the audience in its grip. 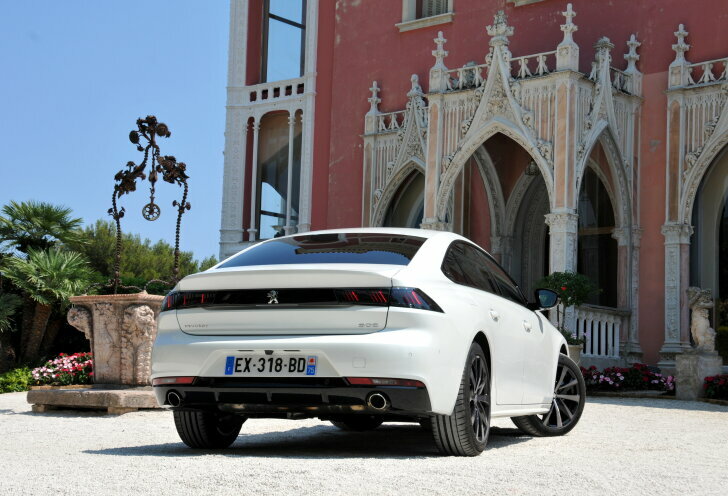 After several promising concept cars Peugeot finally revealed the gorgeous new 508 in early 2018. Soon after, the marketing machine started rattling with terms like "radical fastback", "unrivalled driving experience" and "anamorphose lines". 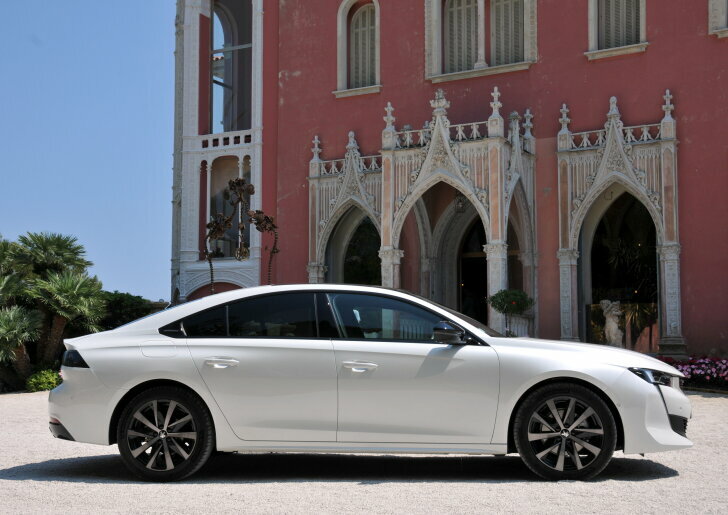 Is the new Peugeot 508 really an exceptional car or is it just screens, mirrors and clever marketing? The marketing terms are the result of the way the 508 was developed. SUVs (Sports Utility Vehicles) are gaining market share, at the expense of sedans. 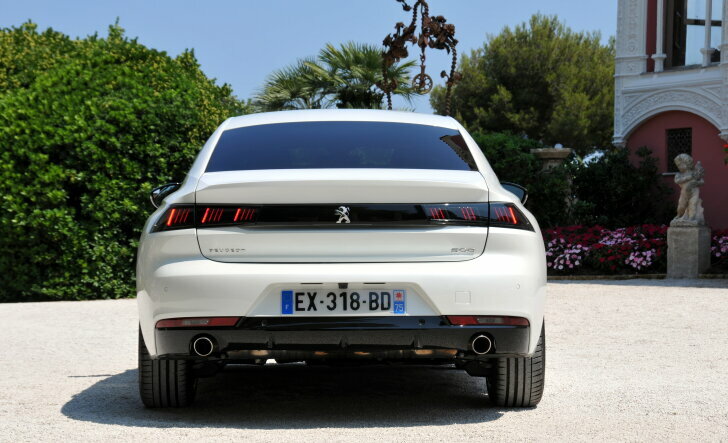 So Peugeot had to come up with something special in order to distinguish itself not only from its direct competitors, but also from cars in another segment. To find out what the customer wants in a sedan, marketing came to the rescue. The answer was: attract the customer with a jaw-dropping design and convince with high quality. As far as Autozine is concerned, Peugeot certainly succeeded when it comes to design. In real life the car looks as good as it does in the pictures, and all colours suit the car. Because of this, is was tricky to choose the most beautiful vehicle of all the cars on offer for a test drive. And having too much of a good thing is exactly what Peugeot aimed for! After the exterior impresses, it's the interior that really wins the heart. The 508 features a so-called "i-Cockpit". This means a small steering wheel that pokes into the cabin. This forces the driver into an "active" seating position (like a racing driver in a sports car) and gives better control over the vehicle. Thanks to the small steering wheel the speedometer and rev counter could be mounted on top of the steering column, right in the driver's line of sight. This seating position alone makes the 508 stand out from the competitors. The space in the front is good and the seats (AGR certified!) offer excellent comfort. It is the wide A-pillars that reduce visibility for the driver. Also, the room to move around the seats is limited. This is caused by the thick door panels containing big loudspeakers and lots of insulation to keep out noise from the outside. The space on the back seat is fair, but Peugeot obviously chose looks over functionality here. The boot is simply huge. And it is easily accessible, because the (electrically operated) boot lid includes the rear window. Again, the 508 proves to be everything but an ordinary saloon car. 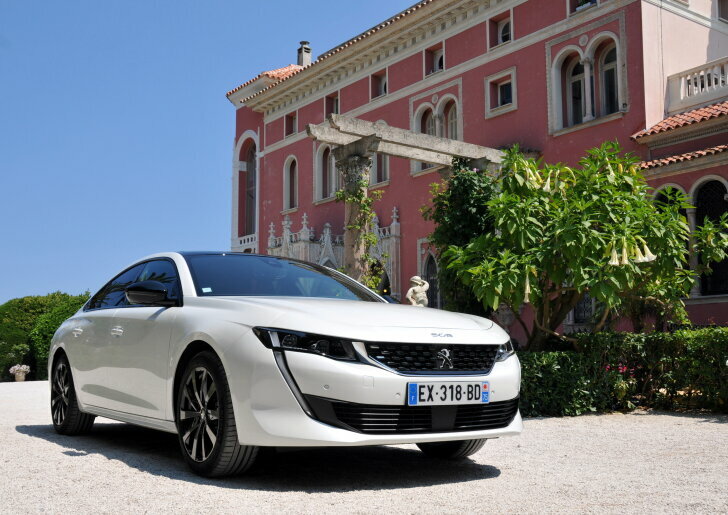 Peugeot wants to be "premium" in order to be able to compete with its German rivals. Build quality is okay and the materials look good, but it's the finishing that really convinces. For example, the centrally located toggle switches are chrome plated and other functional elements are more beautiful than usual as well. Ergonomics aren't perfect, but one gets used to it easily. The speedometer and rev counter have been replaced by a display, which means the driver can choose which information is displayed in which way. It's not the quality of the materials, but rather the beautiful animations and great looking graphics on all screens that give the 508 the desired premium character. The standard equipment is rich and modern, but not outstanding. For example, Peugeot provides a decent infotainment system (with support for Android Auto and Apple Carplay), a night vision camera, automatic highbeam, traffic sign recognition and several semi-autonomous functions. The latter means the 508 assists by operating the brakes, throttle and steering wheel, but never completely takes over. A special mention goes to the Focal audio system which produces a clear, powerful and warm sound. 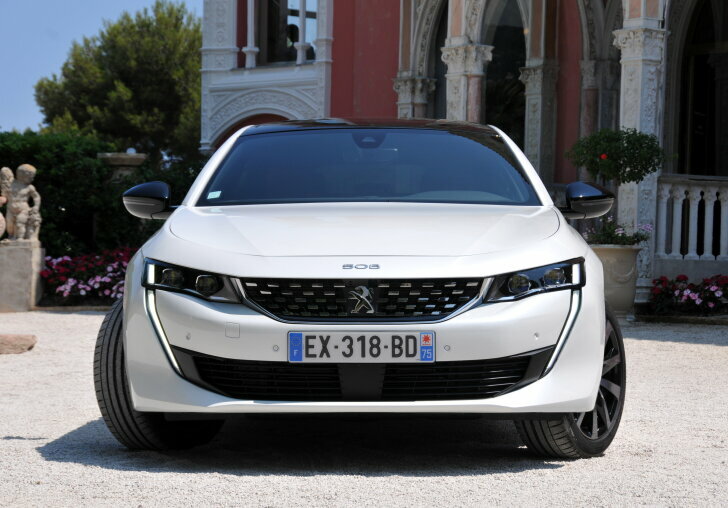 During development of the 508 a (semi) electric version was prepared for. However, because worldwide demand for traditional internal combustion engines is still bigger, a plug-in hybrid will follow in 2019 and a fully electric version in 2020. For now, only traditional petrol and diesel engines are on offer. The real mile muncher is the 180 PS / 400 Nm strong "BlueHDI". This diesel engine makes the 508 powerful, yet not aggressive. In most cases the engine is almost inaudible and promptly responds to all driver input. Only when really provoked, the diesel engine flexes its muscles and only then the 508 is seriously quick. On a highly demanding test track (mountains and rural roads) the test car consumed 5.6 litres per 100 km (50 mpg). The engine procured some resonance between 1,800 and 2,000 rpm, but Peugeot stated this was exemplary. The 180 PS / 250 Nm strong petrol engine has almost the same character as the diesel engine, but is even more quiet. From low engine speeds lots of torque is available, and thanks to even more refinement the "PureTech" offers even more comfort. On yet another demanding route, mainly city traffic, the test car used 11.8 litres per 100 km (24 mpg). Without a doubt the finest engine is the 225 PS / 300 Nm strong petrol engine. It is even more torque strong at low revs and can be seriously fierce at high speeds. All three engines were fitted with an eight-speed automatic gearbox, which perfectly understands what the driver wants. Because the automatic works so well, the levers behind the steering wheel were hardly ever used. The "EAT8" automatic always shifts at the right time and does so without any disruptions. The petrol engines don't only offer the highest grade of refinement, they also assure the best handling. When driving, it's noticeable that the diesel engine is heavier. That's why the 508 diesel reacts slightly slower on driver input and tilts over just a bit more when cornering fast. Do notice these are small differences, but with a car that's all about handling it's the details that count. Despite the chosen engine, the i-Cockpit always makes for a special experience. Thanks to the active seating position, a simple flick of the wrist suffices to take a corner. And even when driving calmly, this makes a big difference. At high speeds the exact steering makes the experience more pleasant. The 508 is rewarding to drive at speed and the exact steering gives a superior feeling, while the stable suspension makes the car feel capable. Or like an older grey colleague spontaneously shouted out: "I feel young again!" The variable suspensions adds to the driving fun. In the comfortable and economic mode the 508 is less eager but always capable. In sports mode the car is sharper and more agile, while communication between driver and mechanics is noticeably better. At the same time, comfort on bad road surfaces is always good (but don't expect old fashioned French comfort). Peugeot aimed to match the handling of the sporty German brands and it certainly succeeded. On top of that this French car adds a dose of charm that no German could ever match. Is the new Peugeot 508 more than just a sleek design and big words from the marketing department? After a long drive with several engines the answer to that question is: yes, a lot more. The engines and equipment are good, but not exceptional. The special seating position ("i-Cockpit"), the sublime audio system and the excellent handling make the 508 radically different indeed.